Restaurants make the great part of your Cinque Terre Experience. People who come to the Cinque Terre are amazed by the scenery, the trails, its beaches, and mostly of all, by the GREAT FOOD! But answering to “which are the best restaurants in Cinque Terre” is not easy. Maybe it’s easier to start letting you know what are the recipes to look for, the traditional food that will help you to understand if a restaurant is a good one or not. Since you’ll be in an area that attracts many tourists, you’ve to pay attention where to eat in Cinque Terre. We live here and we’re very demanding when it comes to food and food prices — plus, you’ll probably be staying here few days, and you’ll probably not have a car to find the restaurants outside the coastline, so here is something may help you pick the right restaurants and right dishes and not miss out on some of the best that the area can offer in terms of great food. Most of the restaurants here in Cinque Terre are family run, like Al Castello and Il Baretto in Vernazza. We feel to award the more honest ones, the owners whose philosophy is to direct but also to work all day long in their restaurants and to serve their customers as if they were guest at their houses. Maybe you won’t find excellence in gourmet research and experimentation, no Michelin stars here (well, actually, we have a couple), but the tastes you will have the luck of finding here are authentic and original, coming from long family traditions. And do not forget to end you meal with a Limoncino (lemon liquor not to be confused with limoncello from south of Italy regions). Otherwise you Cinque Terre meal experience will not be complete! Each village has a wide and excellent selection restaurants, but let’s not forget about La Spezia, it’s a nice city just before Cinque Terre. Probably many of you changed trains here to get to the 5 Terre villages. You can easily reach the best restaurants in town in a short walk from the train station. 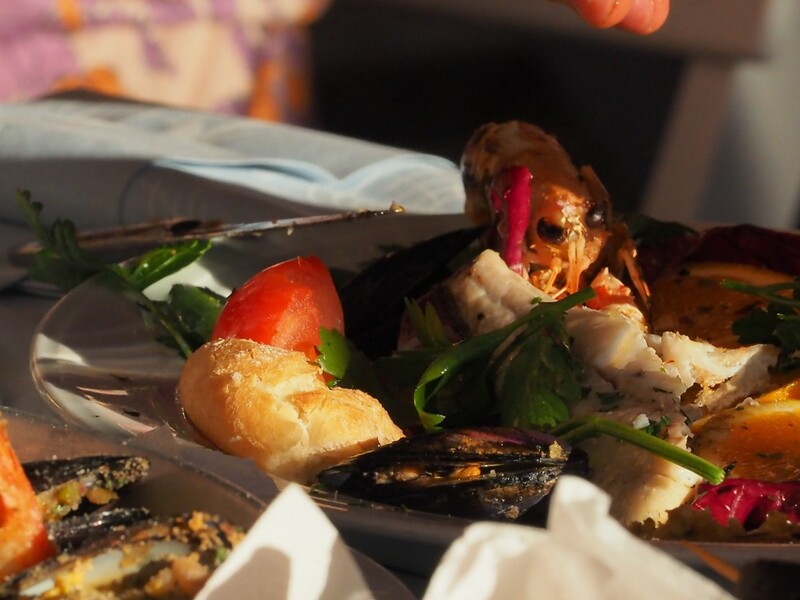 If you’re a real food lover, you can try one of these restaurants for lunch just after food shopping at the La Spezia open food market (Monday to Saturday from 7am to 12pm), where you can find the freshest vegetables, fruits, and locally caught fish. But let’s make it easier for you …if you’re planning to stay in Cinque Terre just 2 or 3 nights… here are the restaurants and wine bars not to be missed in Cinque Terre. In Vernazza: La Taverna del Capitano, Belforte, Il Baretto, Gianni Franzi, Al Castello, Da Sandro, Vulnezia, Gambero Rosso. If you’re looking for something even more romantic/traditional for you…try a chef at home or cooking class!